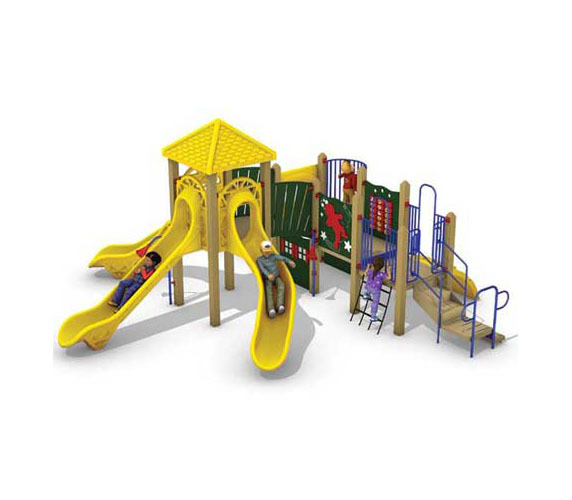 This yellow behemoth is a play-structure that children would love to play on. 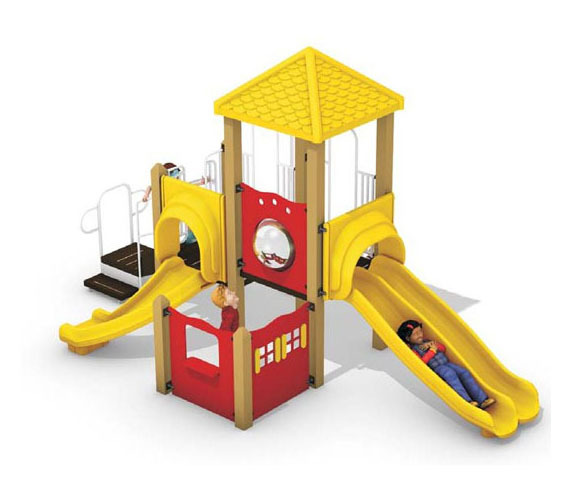 It combines two slides and countless other options and ways in which children can keep them occupied and entertained. Its friendly and environmentally-friendly aspect is a major driving force in the products general appeal. 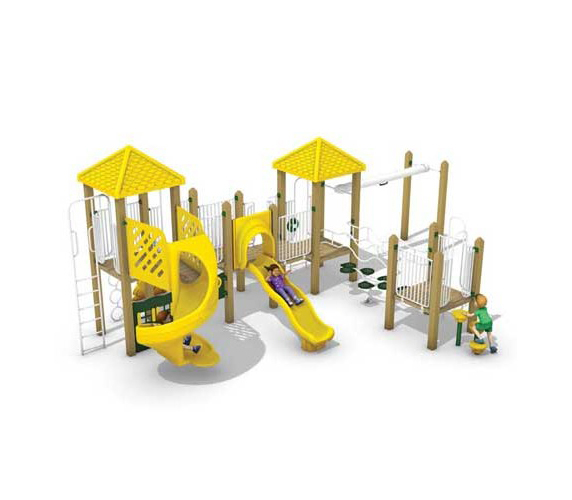 The RP5-22727 is a great addition to the Recycled Plastic category and is also a genuine contender to be the first choice play-structure for any setting. Its sturdy built and countless entertainment features make it a must have for anyone. The RP5-21724 is built with safety and durability in mind. Fitting a low profile and a reasonable fall-height, this play-structure would prove to be best for the youngest group of children. Its stable structure and great features and options make it a must-buy for everyone. 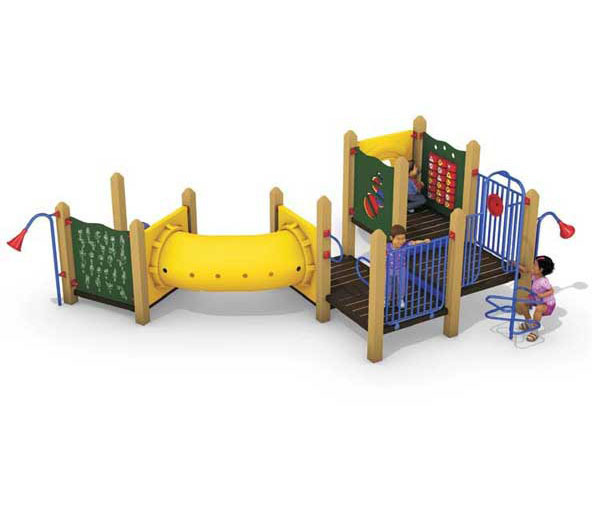 The RP5-20475 is a very big play-structure to say the least, and is one that will be tethered in the minds of children all over. The main attractions, we believe, are the three gigantic slides branching out from it, which we know for a fact that every child will love. Simple yet imaginative: a tagline to describe the RP5-20476 perfectly. It might not sport countless features as the others in the catalogue but what it does bring to children, is pure unadulterated fun. 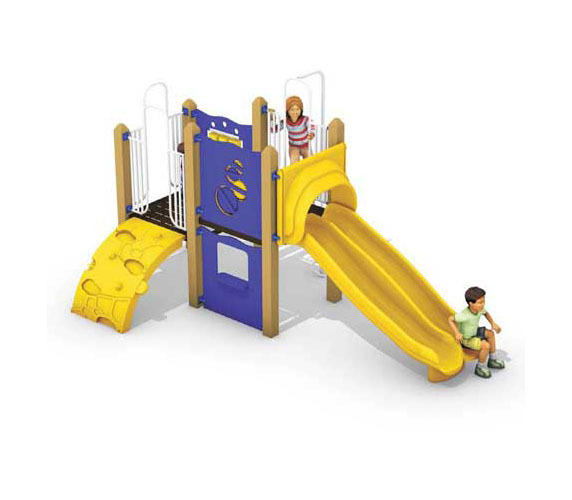 The dual slides can be accessed by climbing the play-structure through the creative “cheese steps”. 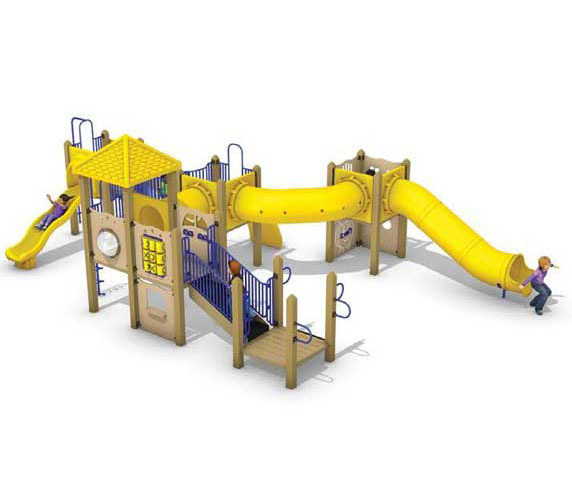 The RP5-20473 would appeal to children of all ages and groups and features a structure of slides and tunnels. The play-space is a favourite at the site and most have inquired about its unique look and build too. The product is surely one to behold at any playground.